CocktailMom: Valentine's Gift for the one you LOVE! My wife gave me the most thoughtful Christmas gift that I thought would also be a great Valentine's gift for you to recreate for your spouse. 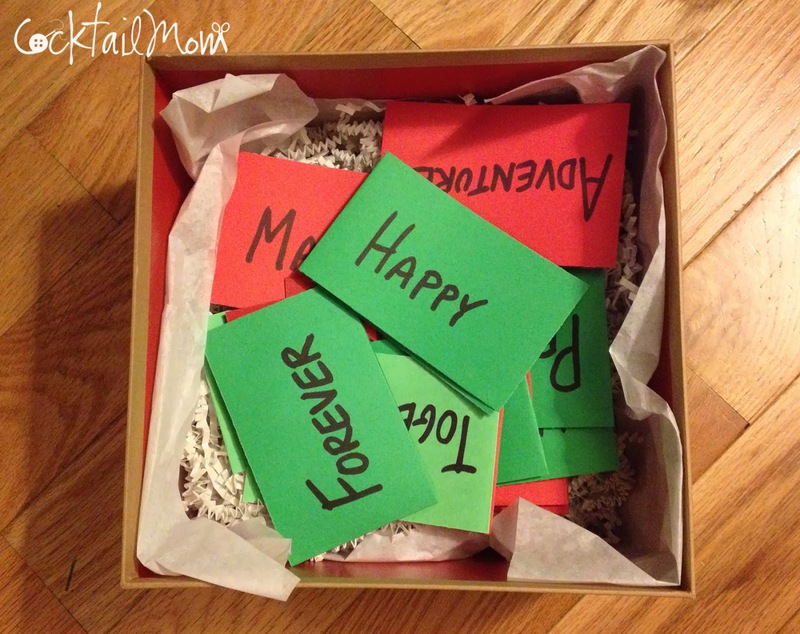 She filled a big box with little cards and on each card she put one word, inside the card was a memory that we have shared that coincides with the word. I cried while reading each card, and then laughing with tear stained cheeks. The gift was so thoughtful and I will forever hold these cards dear to my heart. You don't need to spend a fortune this Valentine's Day. 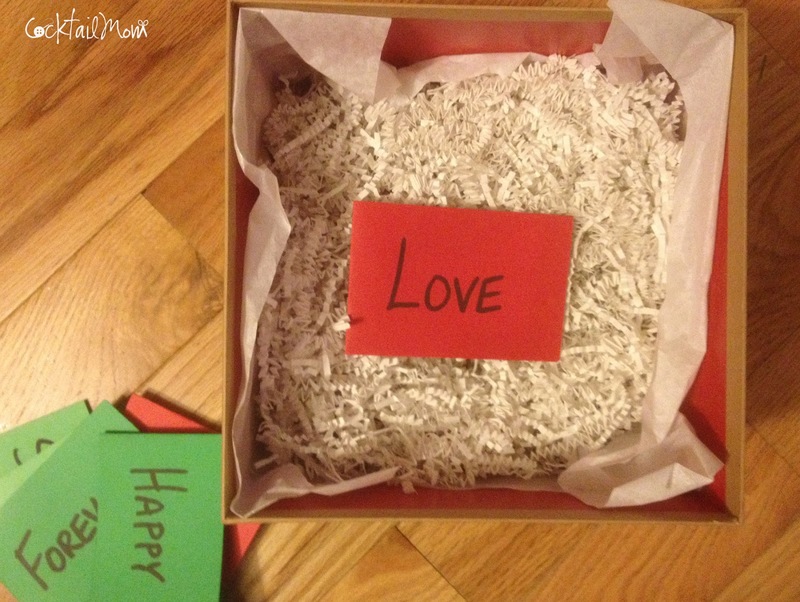 Show the person you love how much you care for them by recreating this special gift of love notes.